I’ve been behind today, but seeing an ESRI press release (yes I was happy to see a PR) about an out of print book being released as a new edition is exciting. A new edition of renowned Swiss cartographer Eduard Imhof’s classic Cartographic Relief Presentation will be released by ESRI Press in June, showcasing the skillful draftsmanship, artistry, and science that went into his relief maps. Last published 25 years ago and difficult to find since going out of print, this book will continue to instruct and inspire cartographers, geographers, geographic information system (GIS) mapmakers and cartographic scholars and students in the 21st century. 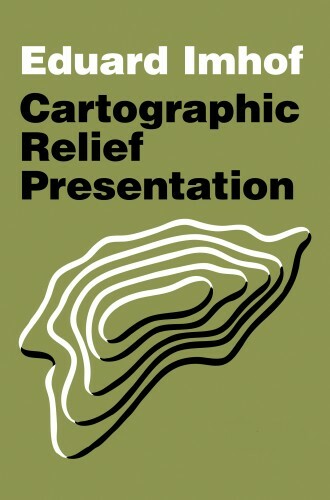 The 1982 edition of Cartographic Relief Presentation was expensive and had a limited press run that made it a rare find in recent years, leaving cartographers and other map aficionados scouring bookstores and checking Internet sites to try to locate copies of a book they consider a masterpiece. The new volume is affordable, and faithful to the original editions. ESRI Press retained Imhof’s valuable insights and teachings, only editing the text for clarity and consistency and making minor wording and punctuation changes. The color and black and white graphics were reproduced as they appeared in the 1982 English language edition, which was translated from Imhof’s 1965 German language version, Kartographische Gel?ndedarstellung. I’ve never seen the book personally, but I know many a conversation over lunch that someone has mentioned reading the book before. Now it won’t be out until late June (even after the UC), but I’m buying my copy right now. I looked into buying a used copy for a friend and they were going for over $300 at the time (I can’t even find a copy for sale right now).